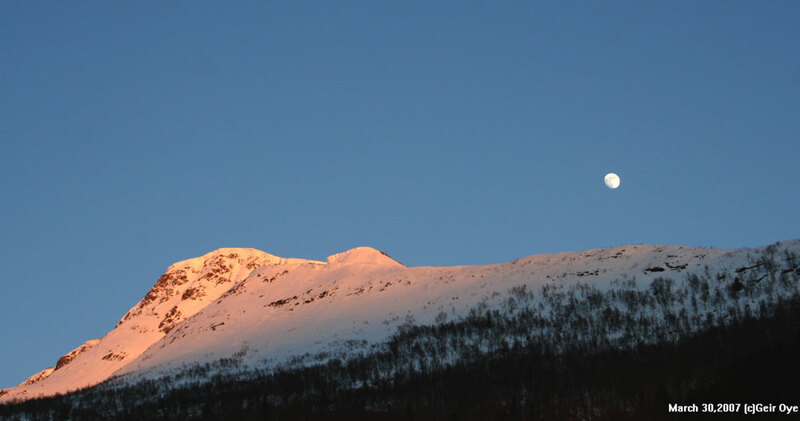 Sun illuminated Moon and mountain. Gluggen. 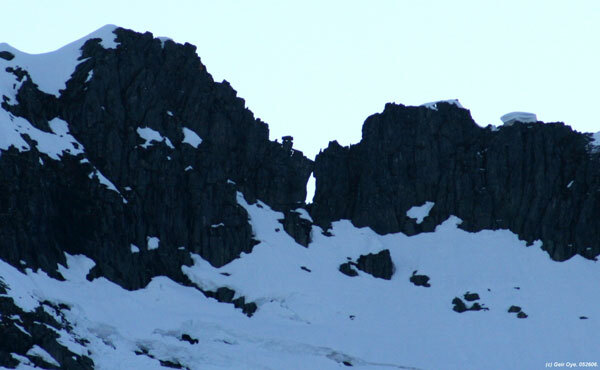 According to local folklore, this hole in the mountain was made by St. Olav.